My mother was born and bred in Western Australia, right in the heart of the fabled wildflower zone. 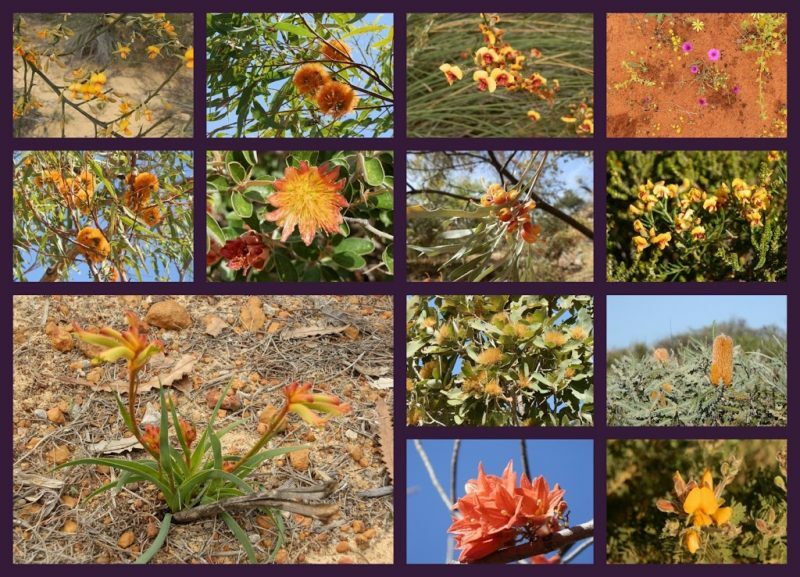 If I had a dollar for every time I heard how wonderful the Western Australian wildflowers were compared to anywhere else in Australia – if not the world – I could have travelled round the world to find out for myself! But despite several trips to the West, I’d never been there in spring to see the wildflowers in the wild. We didn’t have to wait for spring for the North-western wildflowers – the warmer climate all year round means winter wildflowers! AND a wonderful escape from the cold down south!! Bonus!!! Travelling down the vast bulk of Western Australia from Kununurra to Kalbarri via Karajini and further south into the wildflower we’ve seen a wondrous array of Western Australian wildflowers – and now they’re at their peak! So, for your viewing pleasure and visual delectation, here’s a small, colour-coded taste of what I’ve seen so far. Mum was right. They ARE magnificent!! And marvellous though they are (right?! ), these photos of mostly individual blooms don’t convey the utter fabulousness of seeing them all together. A field of yellow wattles interspersed with grey-white smoke-bush and … um … purple flowers accented with spectacularly brilliant pinks, reds and yes, greens is impossible to describe and too vast to photograph. SO … what’s the best way to display this floral bonanza? Call me unscientific (actually, I’d take that as a compliment) but as you can already see, I’ve used the magic of colour!! Without rudimentary knowledge of taxonomics or floral naming conventions I can’t use species classification groups. I don’t even know the scientific, let alone the common names of many of them – around 12,000 species in all – so alphabetic order isn’t possible! And as flowers seem to be unaware of shire boundaries, a regional display is also out of the question. And yes, I MAY have gone a little overboard with the collages, but this is me. Deal with it. wildflowers aren’t quite as stupendous as you’ve described, you can now say ‘I told you so’!! If YOU’RE loving the Western Australian wildflowers too, why not check them out for yourself? 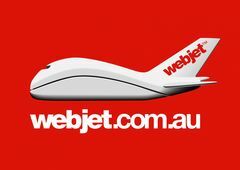 It’s never too late to start planning YOUR trip to Western Australia! Then let me know what I’ve missed!! « An Aussie Colour Cocktail – with a TWIST! 1000 Words About … Corrugated Iron! Your Mum was right Red, and your mosaics prove the point. We live in SWA and see a little miracle happening each spring. @eileeninmd – Haha, at least you’ve got the months – and they tell me 2012 wasn’t a good year for wildflowers (!) so it’ll probably be good for the next few! @Jill – Thank you!! I gave up trying to work out what they all were – there were too many!! Then I figured my o/s readers wouldn’t care about the names – and I was right!! I loved your display of Western Australian wildflowers, and feel so lucky to live here! What a wonderful trip you have had in peak season. Wonderful mosaics of full of colour and variety. Have a wonderful week! Gorgeous wildflowers, so many different varieties and colors. Your photos are a pleasure to view. Now, I know what time of year to book my trip. Just not sure what year, I will get there! Beautiful photos and mosaics, thanks for sharing. Have a great week! @Mica – Thank you! So glad you liked them!! @Betty – Welcome back!! I’ve missed you!!! Look forward to catching up on your blog again!! @Jana – Welcome back! So glad you enjoyed the flowers – I had no idea there would be so many different varieties!! @Ayelet – Australia is FULL of treasures! But this was the first time I’d seen the Western Australian wildflowers for myself. I hope you get the chance one day! What a great diversity! I can only imagine going around there and seeing all of the beautiful flowers in the wild. Australia has more treasures than I realized. simply breathtaking collages&presentation, I was blown away myself whne I spend a week in Western Austrlia few years ago and saw so many amazing plants and flowers (unknown to us Europeans)!happy weekend from the Nethrelands! such a gorgeous collection of flowers, red! p.s i’m back and fully healed. yaay! OMG!!! I love this. Gorgeous gorgeous photos!! @PDP – Well, we DID have to circumnavigate half the country to see them, but you’re right. It IS so worth it!!! @Jenny Woolf – Maybe there’s so many varieties because it’s the biggest state :)!! Call me thick if you like but I had no idea that there were as many wildflowers in Western Australia, I have always imagined it as a bit lacking in the wildlife department. I love the way you have collected together the ones of the same colour into a kind of montage. Beautiful! Beautifully shown here Red, yes the wildflowers here ARE spectacular, I recognize nearly every one of these. I’ll be heading off out into the country a bit any day now, had a tip about huge fields of wildflowers out past Gin Gin way, looking forward to it. Amazing how many of your comments had the ‘too far’ words, if only people would reaize that it’s soooo worht the trip! WOW, wonderful collage and colours! I live in Perth but never went to see the wildflowers in bloom, except for the ones in Kings Park, but they don´t seem as varied as in your photos. @Beach Bum – Well … if you say so!!! @diane b – It’s the only way to display a lot of photos in a few images. I just couldn’t decide which ones to use, so used a lot!! You’re right about squishing them all in – but the best ones will live to grace another post or two sometime down the track! @Joan Elizabeth – This isn’t even a good year for wildflowers, so they tell me!! But be warned – the West isn’t that great a spot for ‘Royal’ Hotels!!! @Jenny – Well, now is the time!!! You probably don’t even have to go that far afield – lucky you!! @Sami – Kings Park is great – but you have to see them in the wild. Hope you get the chance!! Your collages are wonderful Red. I live here and have to admit that I never seen as many wildflowers as you have photographed! One day I have to go bush! Wow, this is a beautiful post! Love it! Wonderful wonderful. I am thinking of heading west next year. @SFlaGuy – Haha, I only missed a few thousand … but my camera’s been running hot trying to fill in the gaps today! @Michael – Thank you! The colours are even more amazing live! @River – You MUST do a WA wildflower tour when you retire! Quite apart from the great flowers, the whole of WA is AMAZING! They’re just as wonderful as I’d heard about! Stunning, really. So many different varieties all at once. Wow wow wow. Did you miss any? I think not. Next time I’m standing in the flower shop, instead of looking totally lost I’m flashing this page on my iPad and saying “I want this!! Wrap it up”. @TMWH – A little flower power goes a long way!! Why not email this post to each & every one of your co-workers so they can share the love?!?!?! @Vincent – Thank you! And the good news is there’s plenty more to come!! @Andrew – Haha!! That’s why I put the RED one first!!! 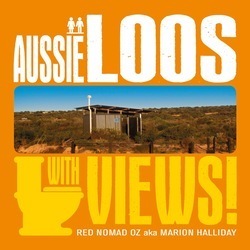 @Windsmoke – I’ve seen Aussie wildflowers before – but NEVER like this! I just HAD to try something special, even if it did challenge my technophobia!! @Toni – Thank you! That’s about the limit of my creativity – but at least I learned a new skill!! My photos of the carpets of colour don’t really convey the actual experience that well. @FruitCake – Snap! We’re recovering nursery psychotics as well … Seeing the WA wildflowers may just be the cure we need – we KNOW we have NO hope now!! @Iris Flavia – Thank you! Every new place in WA is a new wildflower extravaganza! @John – Hahaha, you don’t know how much carbon was sacrificed to bring these photos to you!! @Fun60 – Thank you! And I didn’t even use all my photos!! @Sallie – And to think I spent most of my youth trying to prove my mother wrong!!! What a great colourful collection of Aussie wildflowers! Thanks! What a feast for the eyes those collages of yours. I could gaze at them for hours. You can create as many of these fabulous collages as you like, there won’t be too many for me! However the flight from here would leave a big enough carbon footprint to squash all those pretty blooms; I’ll just enjoy them from here via your photos. Doing the collages was a GREAT idea. You’re so right, seeing them en masse is just spectacular. Aussie Wildflowers certainly know how to put on a spectacular display of colour, ya just can’t beat it and no you didn’t go overboard at all. Excellent display. I like the red panel best, which I am sure pleases you. Beautiful! I was having a bad day until I saw those gorgeous photos, and now I am in a much better mood. My co-workers say many thanks! These are magnificent. Are you sure you haven’t duplicated and triplicated some ? There is such a wealth of beauty here, it’s almost unbelievable. Ooh, no Red! You have not gone overboard, they are just amazing. Nurseries have made a fortune from me, I’m always trying to find a way to grow kangaroo paw. Guess I should be happy that daphne is happier in Frankston than anywhwere else in the world. The wildflowers of WA have long been on my bucket list, buy your collage is the most enticing promise I’ve seen to date.